Did you know that 80% of consumer internet traffic will be video in 2019, according to Cisco? While that’s pretty astounding, it isn’t THAT shocking. You’ve likely already noticed that your Facebook feed has turned into a jam-packed binge-watching session. You likely send out a few snap videos a week to friends and family, and Facetime has become the main way you communicate with your nieces and nephews. Aside from your social media habits and personal communication styles, you’ve also likely observed that more and more businesses are using video on their websites. Whether it be embedded in a blog post or as a homepage hero video, it’s clear that video content is becoming more and more critical for each and every industry to use in their marketing efforts. Not only is video content processed by the brain much faster than written text, but video allows businesses to form a closer human connection with each potential customer; this ultimately leads to higher trust and more sales. Does video make sense for your industry? 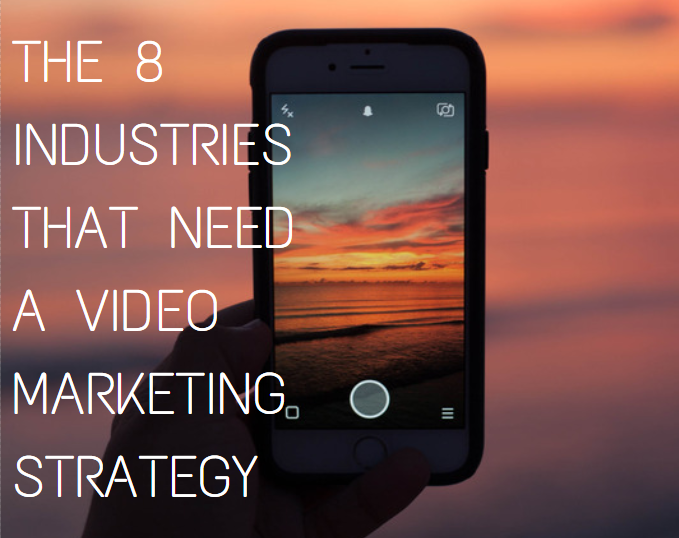 The answer is always yes, but here are eight industries that MUST use video on their websites. While SaaS (software as a service) isn’t the most glamorous industry, it is one that should absolutely be using video. In fact the unglamorous aspect makes video content even more critical to building a strong brand and emotional connection with website visitors. Coming from a SaaS background, I can tell you first-hand how important video is to connect with your audience. When a prospect is visiting your site for the first time you often have one chance to make a memorable impression before that individual moves on to your competitor. If pictures are worth a thousand words, videos are worth ten thousand more. In such a visual and service-oriented industry as travel, using video to showcase your beautiful business is a no-brainer. While galleries and slideshows are nice, nothing quite brings the scene to life like video. Whether it be a resort in Mexico, a vineyard in the South of France, or even a motel in the middle of America, video content will help bring your location to life, encouraging website visitors to book with you over the hotel or service down the street. There is nothing more important than your health, right? This is why trust can be hard to win in the healthcare industry. Whether it be a large hospital searching for a healthcare software company to fulfill a need or a patient choosing a doctor or specialist in their new neighborhood, a huge amount of trust need to be gained to make these decisions. Google has also found that out of 700 healthcare administrators surveyed, every customer reported watching videos to see product demonstrations. Even more impressive is that after watching, 79% continued on to the manufacturer’s website and 63% talked to others about the information. When it comes to big, important decisions, education probably falls just behind healthcare. The quality of education received can make a substantial impact on one’s future, so deciding which kindergarten to send your child to or which grad school to apply to as an adult is a heavy-weighted decision. While video won’t likely be the only factor considered, it is a wonderful way to bring interested parties in the door as they’re searching through your website. If you are running an agency you’re all-too-familiar with the tedious sales processes involved in getting a contract signed. With a long sales cycle, and the constant pressure of knowing that similar conversations are occurring with your competitors, having a way to stand out is a necessity. What could be better than giving prospects a first-hand look into your business? BluLeadz, an inbound marketing agency in Florida, is slaying the video game, and has been able to successfully close more high-value customers by using video throughout their sales process. Whether you’re going through a grueling divorce or you’re the victim of a hit and run, when life throws you a curveball you might find yourself searching for the right lawyer to win your case. While the stakes vary between cases, lawyers are typically a large investment so gaining trust immediately is critical. 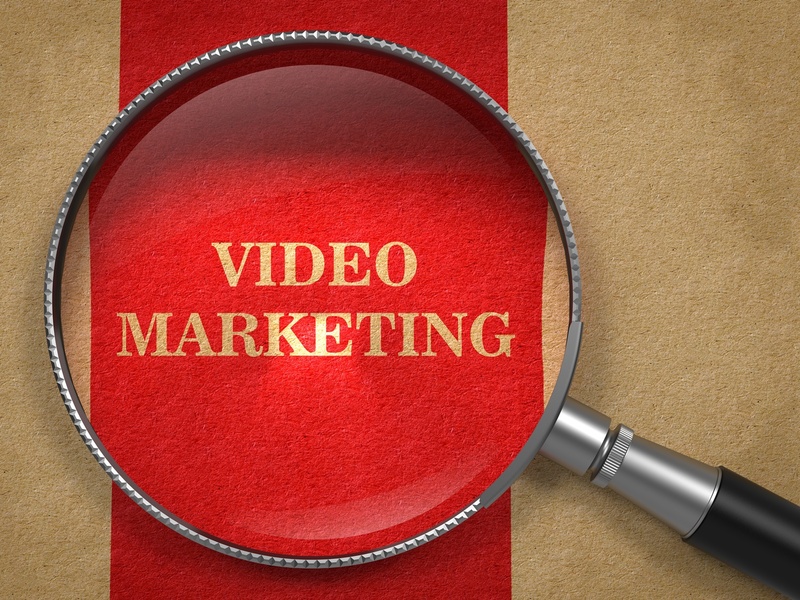 This is why video is a necessity for lawyer marketing. The prospect needs to feel that human connection immediately, and there’s no better way to do that then to see a video of the lawyer and hearing success video testimonials from their previous cases. Money is a sensitive topic, and trusting others to handle your hard earned money isn’t easy. Like in the law industry above, with trust being so critical, a video marketing strategy becomes even more critical for folks in the financial industry. “About Us” videos, culture/value videos, explainer videos, and video testimonials are just a few video types that financial marketers should be investing time and resources into. As a constantly connected society with remarketing advertisements filling our Facebook feeds, more and more consumers have become reliant on e-commerce over in-store shopping. As a frequent online shopper myself, having a video representation of a product makes a significant difference on my likelihood to buy. Why? Well, when looking at static image of a pair of pants or a piece of furniture it’s hard to get the full visual and realistic representation as to what the product will look like in person. For instance, I want know what the dress I’m about to buy looks like from every angle on a real moving human being. One company that’s killing it using video in this way is ModCloth. They’re creating videos, like the example below, that show off their dresses and also provide the height and size of the model for further context.